Choosing a university is an important decision. The choice of the school you attend could significantly affect your life. Join us and take the first step to make the world a better place through design and technology. Our undergraduate programme is designed to develop technically-grounded leaders and innovators to serve societal needs. We offer a unique design-centric and interdisciplinary curriculum delivered through a cohort-based learning approach. Coupled with a vibrant campus life and development programmes, we prepare you to make a difference to the world. Our graduate programmes move beyond traditional education boundaries and emphasise a multidisciplinary focus – design, innovation and entrepreneurship are seamlessly integrated into the curriculum. 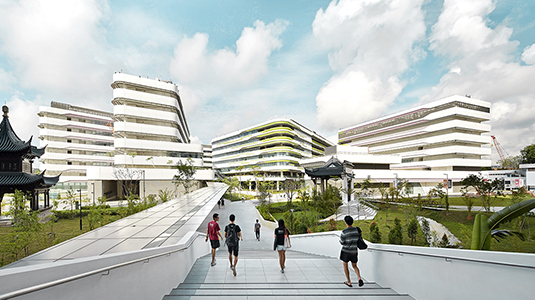 At SUTD, you’ll find a vibrant learning environment that brings together the best minds and ideas to seek solutions to modern-day challenges and create a better future. An SUTD internship brings you closer to your dream career.